Robotics is the science and technology of robots, their design, manufacture, and application. Robotics requires a working knowledge of electronics, mechanics and software, and is usually accompanied by a large working knowledge of many subjects.In our MYP and PYP Robotics Club, we utilize the programmable robotics kit, LEGO Mindstorms NXT and EV3 to develop our robots. The objective of this club is to introduce students to computational thinking through the NXT-G and EV3 graphical programming environment.In the MYP Robotics Club, students get involved in the development, building and programming of a LEGO Mindstorm robot for a specific challenge. Students work hands-on in teams to design, build, program and document their progress. Topics may include motor control, gear ratios, torque, friction, sensors, timing, program loops, logic gates, decision-making, timing sequences, propulsion systems and binary number systems. Student designed robots will be programmed to compete in various courses as developed by First Lego League (FLL). 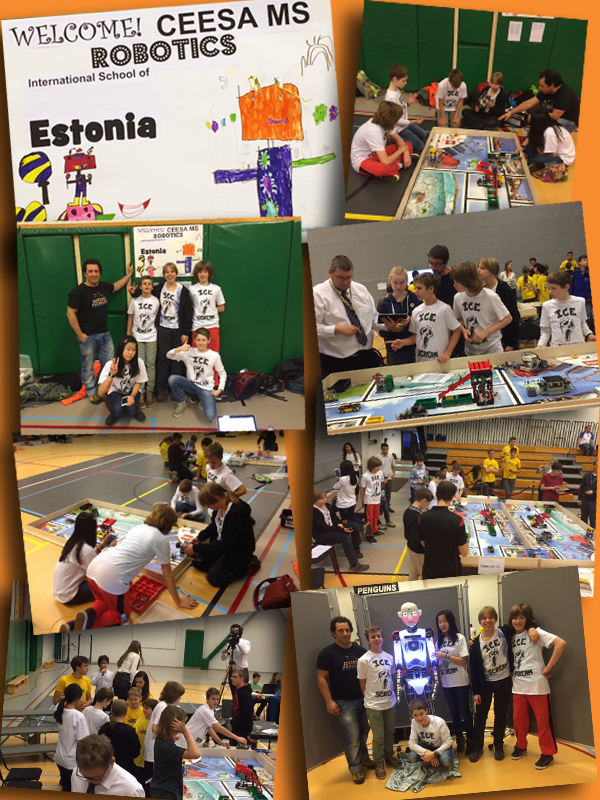 Our MYP Robotics Club participates annually in the CEESA MS Robotics Tournament. Last year we were represented for the first time with one team “ISE IceScream” in the Robotics Tournament organized by AAS of Moscow and our team finished with a spectacular 8th place out of the 19 teams. In the PYP Robotics Club, that will be officially launched on August 2016,but has already been a pilot program, lower school students will have the opportunity to participate in hands-on activities and explore at a beginners level, the design and programming process of a robot. Students are introduced to sensors,motors and the programming of a robot to accomplish certain tasks. Tasks include but are not limited to, line-following,motor parking,avoiding obstacles and solving real World problems. This Club also aims to get our students involved in local competitions, such as Robotex and participate in design and engineering challenges, such as the First Lego League for Juniors (FLL Jr.).